Dr Choi obtained his B.E. and Ph.D. degrees from the University of Canterbury, New Zealand in 1973 and 1976 respectively. He then worked in the New Zealand Electricity Department before he took up a lecturing post at the National University of Singapore in 1978. He joined the State Energy Commission of Western Australia (SECWA) in 1981 where he was responsible for system studies pertaining to stability, power quality, SVC applications and network transients. From 1989-1992, he was Head of the System Analysis Section in SECWA, with the added responsibilities to specify and conduct system acceptance and performance tests pertaining to generating sets, transmission and sub-transmission networks. 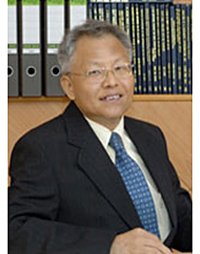 He left SECWA in Oct 1992 to join the School of Electrical and Electronic Engineering, NTU where he is now a professor. He was Head of the Power Engineering Division from April 1995-July 2005. Dr Choi is a senior member of the IEEE, member of IET and the Institution of Engineers, Australia. He is a Chartered Professional Engineer of Australia. He is also the recipient of the IEE FD Zerranti Premium Award for the 1989/90 session, and recipient of a 2004 IEEE Power Engineering Society Surge Protective Devices Committee High Interest Paper Award. Dr Choi is a member of the Editorial Board of the Proc IET on generation, transmission and distribution, a member of the International Editorial Board of the Journal of Automation of Electric Power Systems, Journal of Electric Power Science and Technology. His research interests are in power system control, power quality analysis and enhancement, distributed generation and energy storage systems.